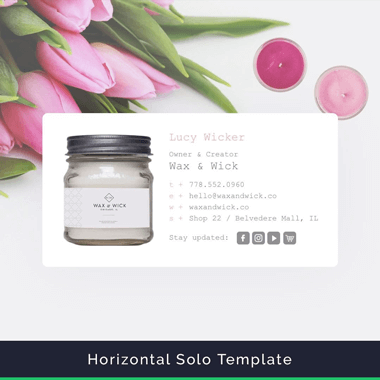 The Horizontal Bar Email Signature Template is another much loved template design. 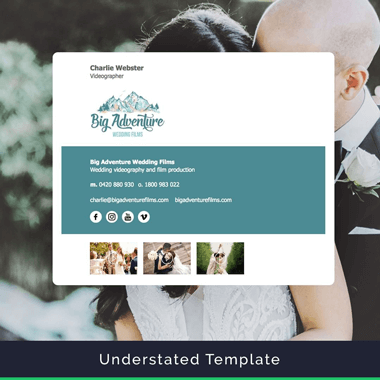 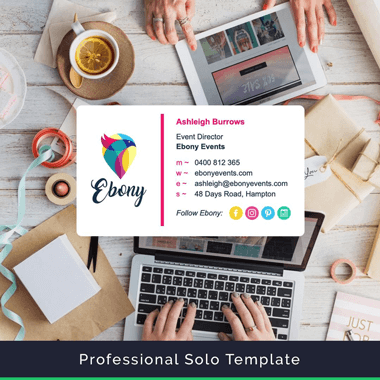 Similar to the Professional Template in style, the primary images are on the opposite side of the design and it includes custom separators that you can style with dots, dashes, slashes or love hearts. 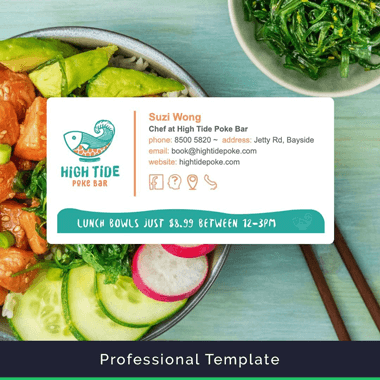 This design effortlessly creates an amazing HTML email signature with any image, a few social icons and just a bit of text! 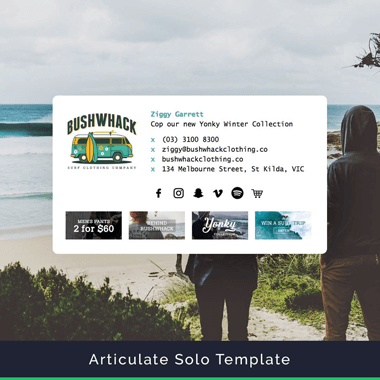 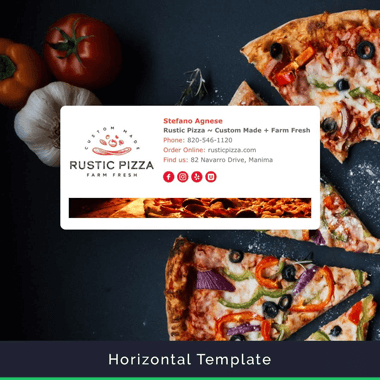 The Horizontal Bar email signature template comes in two versions; the Horizontal Bar and Horizontal Bar Solo. 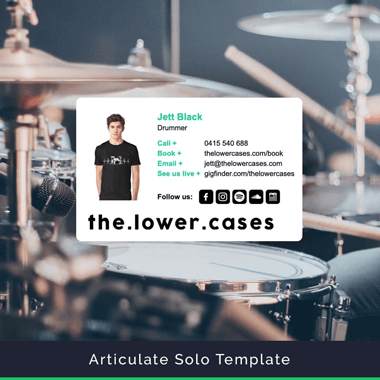 The Solo versions of our templates reduce the column width of the contact details columns to just one column. 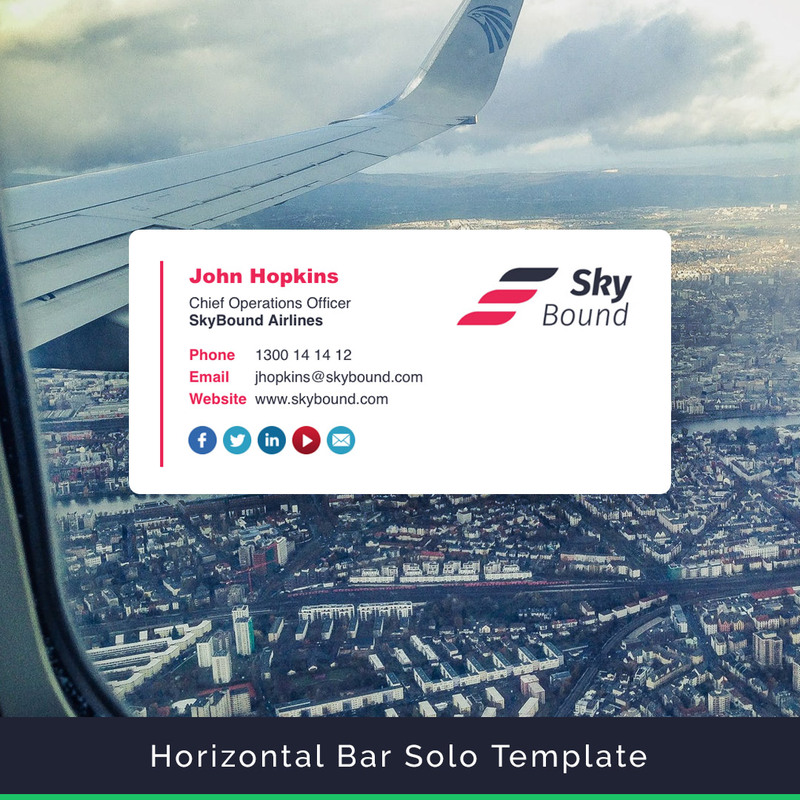 Design and customize your Horizontal Bar email signature template with our Live Preview Editor. 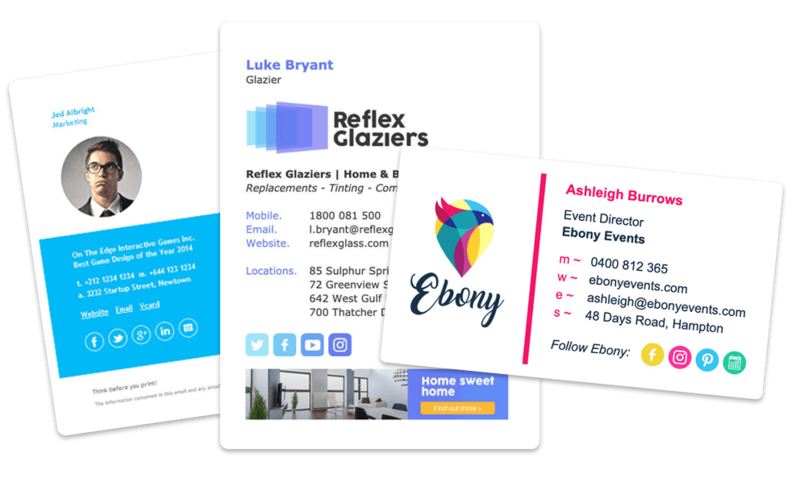 Add your name, role, email, address, telephone numbers, images, banners, social media icons and more. 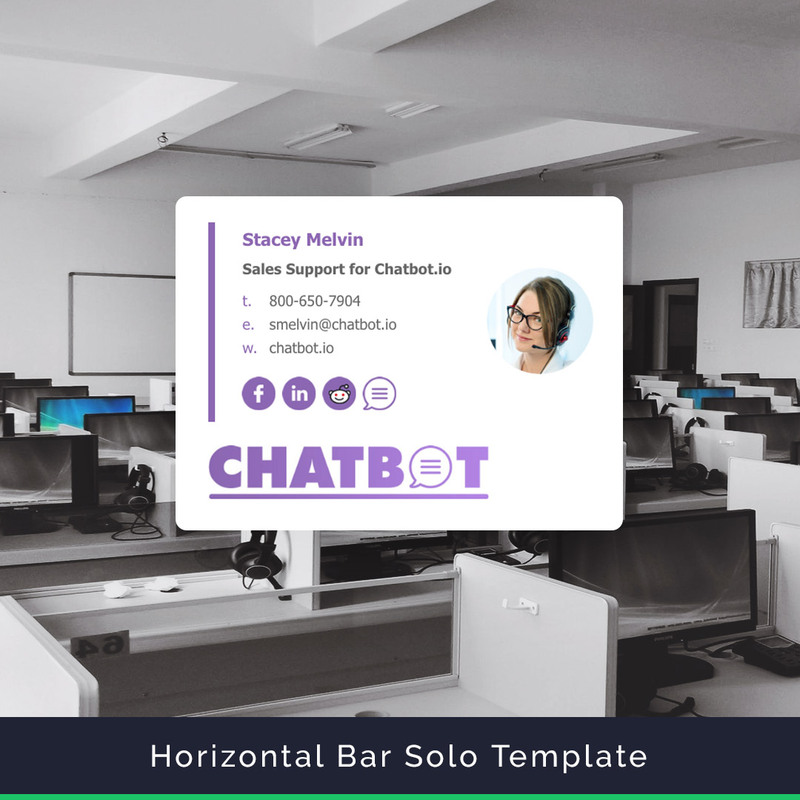 Manually install your Horizontal Bar Email Signature template in any email client that supports HTML. 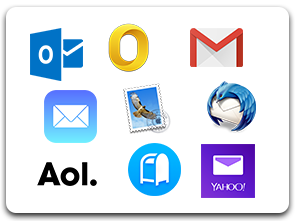 If your email clients supports it, automatically install your email signatures and edit them straight from your Dashboard. 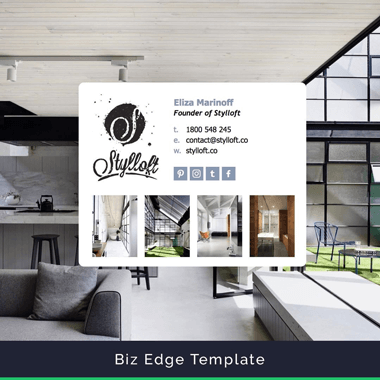 Upload your own images, photos, banners and logos using our built-in image editor. 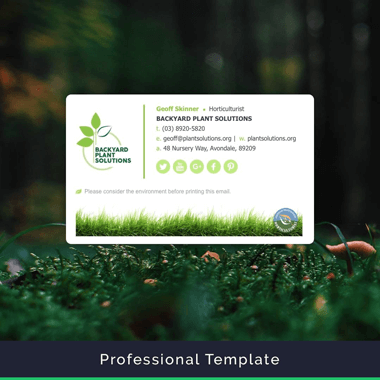 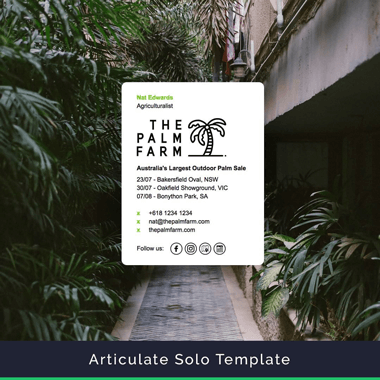 Crop, circle-crop and resize images easily and add them to the Horizontal Bar Email Signature Template design. 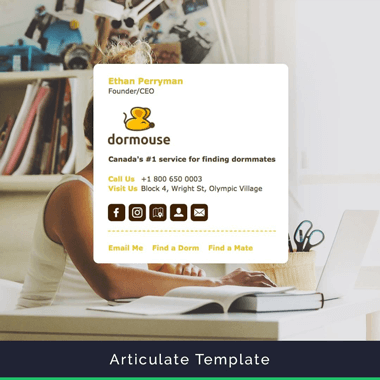 We test all of our email signature templates sending to and receiving from all major email clients. 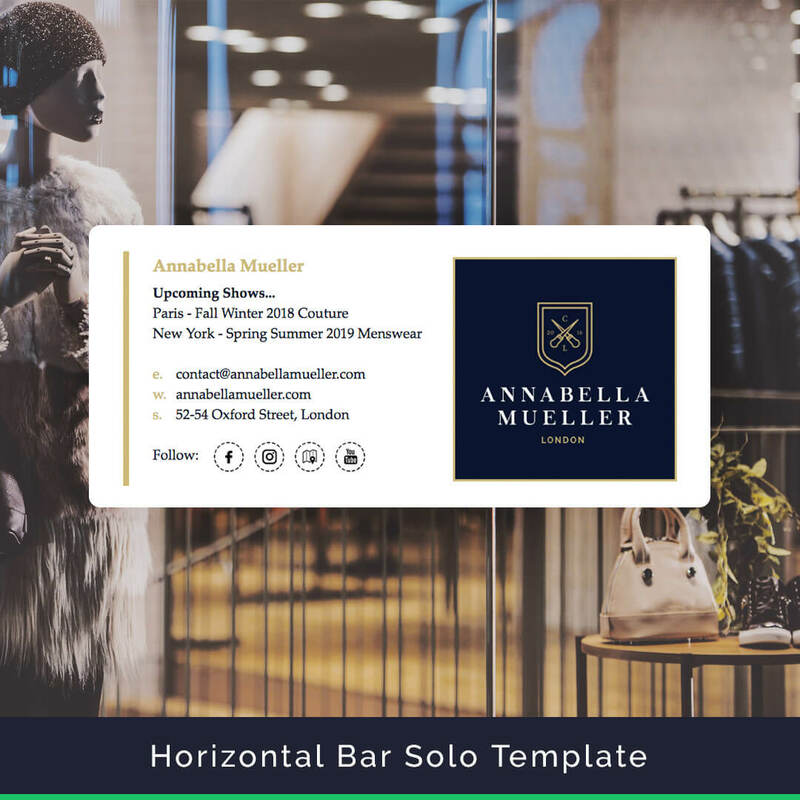 Just follow our easy guide when creating your own Horizontal Bar email signature template to ensure it remains looking good. 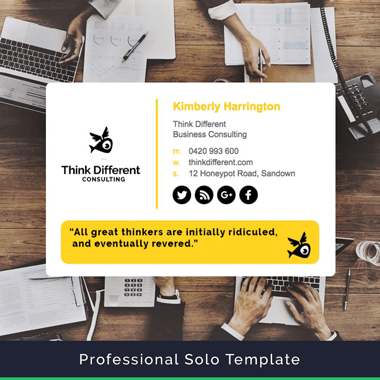 You don't just get the Horizontal Bar email signature template, you get all 20+ professional email signature templates included in our software.